Introducing the Canine Noise Phobia Series! "We don't live in a bubble, and our pets don't, either," notes Dr. Jerry Klein, supervising veterinarian at Chicago Veterinary Emergency and Specialty Center in Chicago. "I'm not surprised about what's happening," he adds. APRIL 2015 | PUT AN END TO THUNDERSTORM PHOBIA! Click here to read the April 2015 Edition of the Positively Newsletter. A dog flu epidemic has blown into the Windy City, sickening over a thousand dogs and has been responsible for the death of at least five dogs since mid-March. Is your dog at risk? Victoria was recently featured on the Weather Channel's morning show, AMHQ, where she talked about thunderstorm phobia. Thunderstorm phobia is a relatively common problem for dogs, particularly for those that live in areas where stormy weather is commonplace. Whether fear of thunderstorms is elicited by a singular traumatic experience or prolonged exposure, the result is often highly distressing for dogs and owners. Without extensive behavioral therapy and management strategies, phobias become deeply ingrained and even harder to overcome. Canine Assistants trains and provides service dogs to people with medical conditions and disabilities. The results are nothing short of amazing. Recipients experience a freedom that would be otherwise impossible. The dogs change peoples lives. And all of it free of charge. Founded in 1991 by Jennifer Arnold, Canine Assistants now places 75 to 100 dogs annually. Halloween Pet Costumes: Frightful or Fun? Steve Dale discusses the modern trend of dressing pets in Halloween costumes, and how you can keep your dog stress-free during fright night. 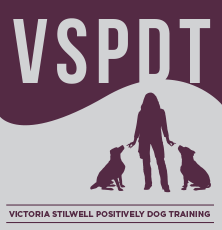 Victoria Stilwell constantly promotes the power of positive training methods through the many platforms she has developed during her career as a well-known dog trainer. Now she is taking her commitment to helping people and their dogs to a whole new level with the announcement of a new line of dog training products specifically designed by Victoria herself to help dog owners around the world. 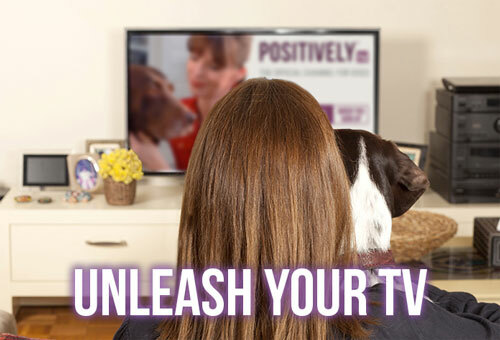 With her Positively Training Treats, Positively No-Pull Harness, and Positively Double-Connection Leash, Victoria aims to help dog owners tackle some of the most commonly-encountered dog behavior problems. iCalmDog plays four hours of clinically tested calming music on automatic repeat and is the size of a Labrador’s paw. It’s a dog’s security blanket at home or can be taken to the groomers, vet clinic, dog sitter’s, on vacation, to the boarding facility and beyond. Fireworks can be fun for humans, but dogs don't have the same reaction.